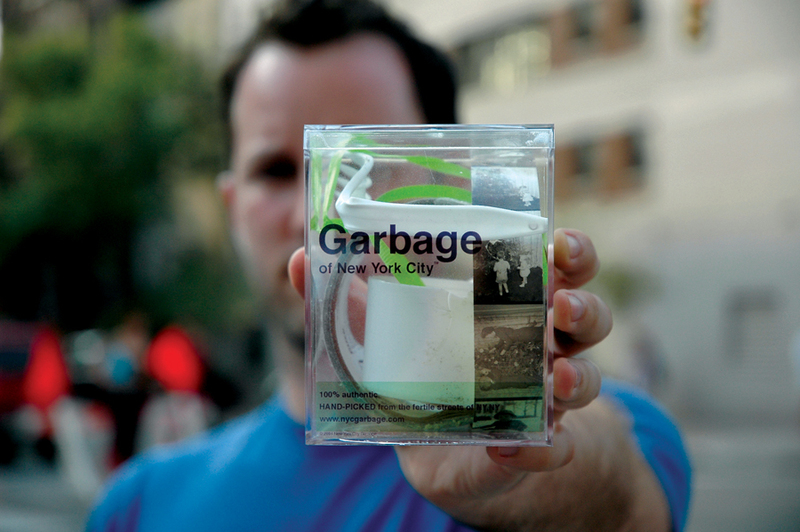 In addition to original New York City Garbage, Gignac has also produced a number of limited edition cubes. Past editions include: The Republican National Convention, the World Series at Yankee Stadium, New Year’s Eve in Times Square, the NY Giants Victory Parade, the first day Gay Marriage was legal in NYC, Obama’s Inauguration and St. Patrick's Day in Dublin, Ireland. Justin is also the co-founder of Working Not Working, a curated community that connects companies with the Universe’s most respected, most awarded and hardest working creatives in Advertising, Design, Production and Tech. Companies like Apple, Google, Facebook, Nike, Droga5, Wieden+Kennedy, and The New York Times use WNW to staff creatives for freelance and full-time roles. If you have an enthusiastic audience that would like to hear the story behind Justin's work, email him. His anecdotes inspire anyone from sales teams to students – if Justin can sell garbage you can sell anything. Additional information about his talks is available here. Are you organizing a big event (Super Bowl/World Cup/Mardi Gras/Olympics/Lumberjack World Championships) that should be commemorated? Commission Justin to collect trash and create a limited edition series to remember it by. Contact Justin to discuss. For example, check out limited edition St. Patrick's Day Parade cubes from Dublin, Ireland.